The Historical Society of Sarasota County will present an appraisal clinic on Saturday, Nov. 14, from 11 a.m. to 2 p.m. at the Crocker Memorial Church, located at 1260 12th St. in Sarasota, the organization has announced. 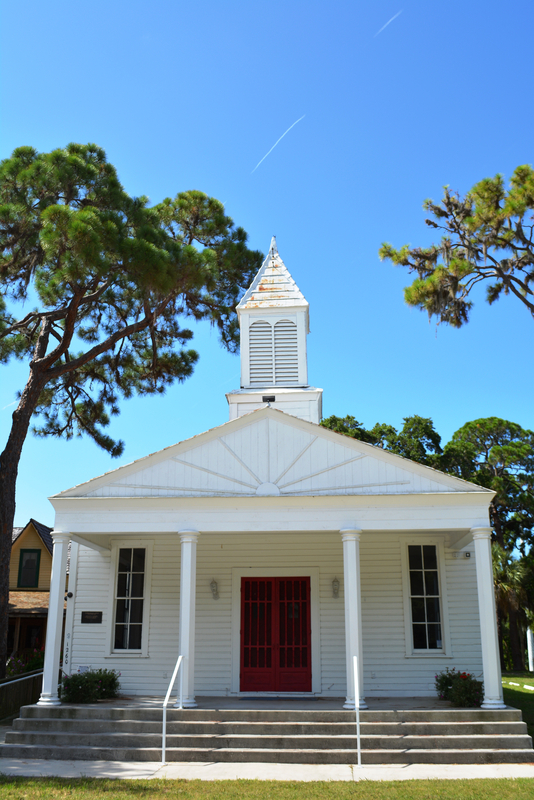 The Crocker Memorial Church is in Pioneer Park, one block in from North Tamiami Trail at 12th Street, a news release notes. People are invited “to bring their treasures” and have the items appraised by certified professionals, the release continues. The cost is $10 per item, or three for $25. All proceeds from this event will directly benefit historic preservation at the Bidwell-Wood House (1882), also in Pioneer Park, and the Crocker Memorial Church (1901), the release notes. Free docent-led tours of both historic buildings will be available during the day on Nov. 14 as well, the release adds. Participating appraisers will be Bruce Crissy, proprietor of Crissy Galleries in Sarasota; Richard “Jeff” Jeffers and Shane David Hall of Garth’s Auctioneers & Appraisers of Delaware, Ohio; Don Elder, owner of Elder’s Fine Art & Antiques in Nokomis; and Julie McClure, owner of Appraisals & Sales by Julie McClure, a company headquartered in Bradenton, the release says. Each person bringing items for appraisal will have a private conference with an appraiser, the release points out. Heading up the clinic for the Historical Society is board member Ron McCarty, who is also the curator and keeper of Ca’ d’Zan, the John and Mable Ringling mansion in the Ringling Museum complex in Sarasota. The event will be part of an Antiques, Art & Collectibles Fair, which will run from 10 a.m. until 4 p.m. at Pioneer Park. Admission is free, the release notes. About 15 vendors will participate in the fair, the release says. To learn more about the Historical Society, visit www.hsosc.com or contact Linda Garcia at 364-9076.